You know that feeling of elation that hits you when your online order ends up fitting perfectly? That’s gotta be something close to what the Manitowoc RFS-0650A might feel (if machines could, indeed, feel anything) when you pair it up with a matching 55.9cm (22in) storage bin. Not two randos, but two pieces cosmically connected and destined to be together. No adapter required here. 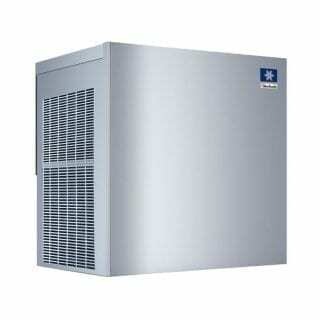 This modular ice maker is capable of producing 305kg of ice per day to keep up with a steep demand curve, and is built in heavy-duty stainless steel to resist corrosion and any other daily challenges that a busy kitchen might throw at it. Installation and cleaning are now easier thanks to service updates to the RFS range. Manitowoc flake ice is perfect for displaying delicate seafood and meat products, and does extra well in salad and sushi bars as well as in healthcare applications. And, on a slow day, you’ll get double points for building snowmen. This machine is great for: Buffets, countertop displays (seafood, poultry, fruit and veg), salad bars, medical, science labs, and restaurant applications. A: The warranty 3 years on parts, 2 years on labour; 5 years on parts and 2 years on labour for the compressor. A: Yes, this ice machine requires to be acid washed and sanitised regularly. We recommend cleaning the condenser monthly and the ice machine itself at least every 6 months. 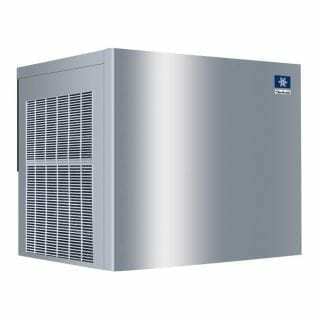 Check our Cleaning Products page [link: https://www.pacificice.com.au/product-category/chemicals/bar-area-chemicals/] for our assortment of ice maker cleaners.